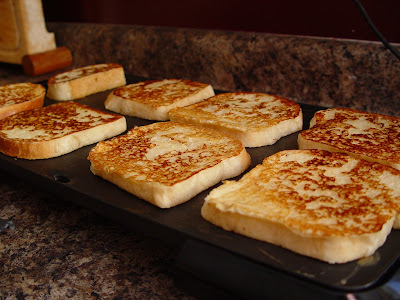 This is my basic French Toast recipe. It can be made pretty quickly! My kids like to pour syrup over the top. I like the wheat bread, with a tiny bit of jam, and 1 C warm blueberries over the top. It’s a great weight loss choice, as it is whole wheat and fruit, and has much less sugar than the syrup choice. I buy frozen blueberries at Costco. They are naturally sweet and taste like pure heaven warmed up for about 1 minute in the microwave. My husband likes to warm up Costco’s Mixed Berries in a sauce pan, adding a little lemon juice, and Splenda. (He is convinced that Splenda is the weight loss wizard of the universe….I have other ideas on the matter. But, to each his own.) This recipe makes 24 pieces. I always have leftovers that I keep in the fridge for the next morning. ***NOTE*** The kind of bread you use makes a big difference. Grandma Sycamore’s is a great brand that works well. 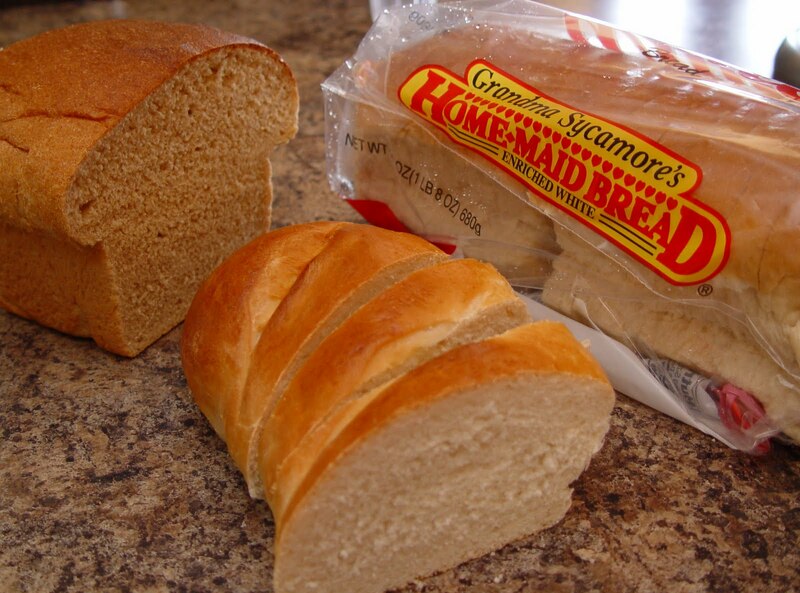 My homemade Wheat Bread and my French Bread recipe are also great. Ok….I’ll admit, the French Bread is down right heavenly. But of course less healthy than the Wheat Bread. 1. Heat up a large plug in griddle to 350. 2. Place all ingredients, but the bread, in a 9×9 cake pan. Whisk until all ingredients are incorporated. 3. Dip each piece of bread in the milk/egg mixture, being sure to coat both sides. 4. Spray the skillet with cooking spray, put eight pieces of dipped bread on at a time. 5. Flip the bread over when the under side is golden brown. (about 3 minutes) and then cook until the other side is done. 6. 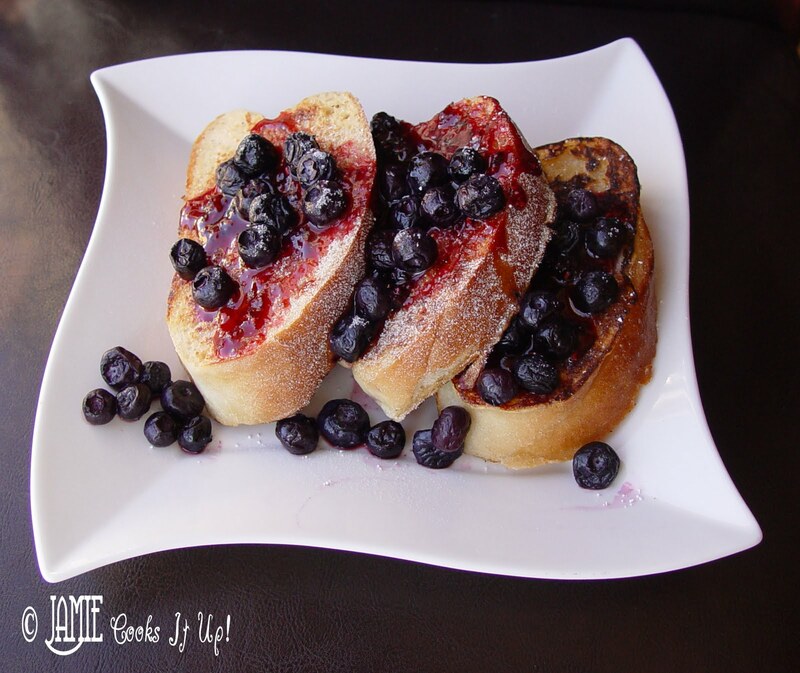 Serve hot topped with syrup, fruit, jam, powdered sugar, peanut butter….what ever your little heart desires! ***NOTE*** The kind of bread you use makes a big difference. Grandma Sycamore's is a great brand that works well. My homemade Wheat Bread and my French Bread recipe are also great. Ok....I'll admit, the French Bread is down right heavenly. But of course less healthy than the Wheat Bread. 2. Place all ingredients, but the bread, in a 9x9 cake pan. Whisk until all ingredients are incorporated. 6. Serve hot topped with syrup, fruit, jam, powdered sugar, peanut butter....what ever your little heart desires! I made this French Toast today and it was super yummy! 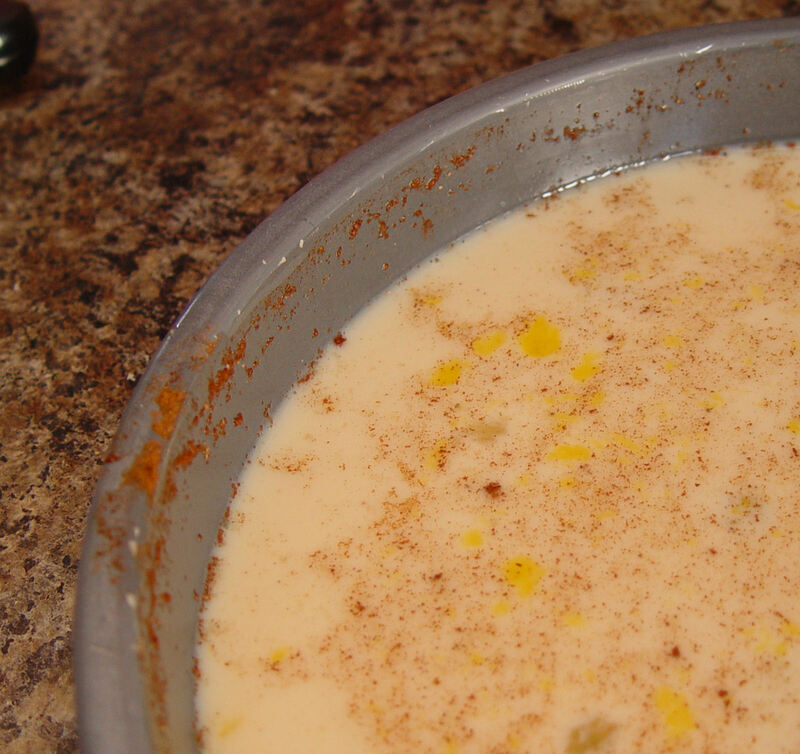 The mixture of the nutmeg, cinnamon, and vanilla were an excellent combination. I happened to have some frozen blueberries so I used that as my syrup but I went a accidentally went a little overboard on the blueberries…live and learn, right! Thanks for sharing your recipes. I’m loving them! Can you do it without nutmeg? Sure! It will still be great without the nutmeg.